Your Local iPad Repair Specialist is Just next to you. 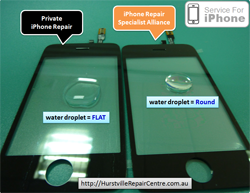 iPad Screen Repairs in Sydney are much easier than before. 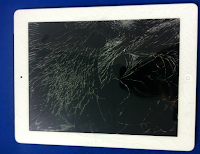 We do repair lots of Smashed iPad Screens Everyday. 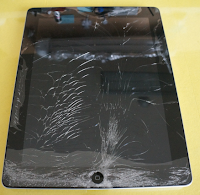 Have you found the similar cracked iPad Screen below ? 1 Most Trusted* iPad Screen Repair Specialist! 2 Your Local iPad Repair Specialist is Just next to you. 2.2 Premium iPad Repair Service comes from TOP Quality Parts. 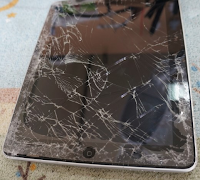 Have You Caught By the Poor iPad Repair Service? This might help you understand Why You can be cheated. A Genuine iPad Repair Specialist wears Pastel-Green T-shirts with 'Service for iPad' mark. Premium iPad Repair Service comes from TOP Quality Parts. Have You Caught By the Poor iPad Repair Service? This might help you understand Why You can be cheated. 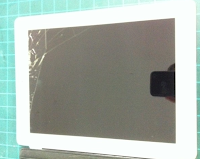 Started to count 'iPad Screen Repair'! Your Apple iPad will be repaired like other 15k+ iPhones.